One Year. Remember to send a video that is less than one year old in order to be as current as possible. You should make sure that the group performing on the video will most closely reflect those who will be performing on stage. Group Size. Make sure that the group in the video is about the same size as the group that will be traveling to perform. If there are 300 performers in your video and only 50 students plan on going on the trip, the sound of your group will be drastically different. Limit Outside Noise. If you are planning to film your video in a public performance, keep in mind external noise. Other audience members might be talking and could distract from the performance. Try filming your audition video where the background is quiet in order to mitigate these issues. When in doubt, a practice session or rehearsal is a great option and groups are not required to be in uniform for this recording. Step and Sound. For marching bands, it’s helpful to submit an audition video that showcases the band marching and playing at the same time. Consider utilizing a field-show performance or a parade – as long as the viewer can see movement and hear music at the same time. And don’t forget to also show any auxiliary that may be performing with the band as well! 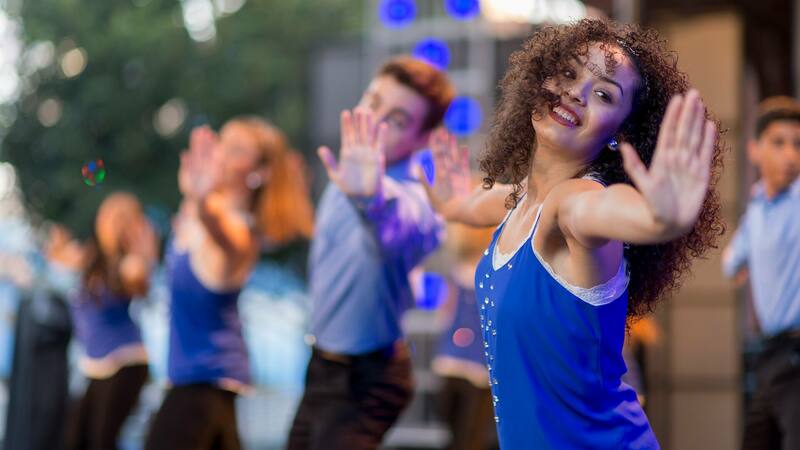 Check out all of our performance opportunities with Disney Performing Arts and be sure to nail that audition so you and your students can come perform for our Guests! Tell us your favorite tips on Facebook and LinkedIn and don’t forget to use #DisneyYouthPrograms in your posts!